March 29, 2019 0 comments on "Keeping Baby Ducks as Pets"
Can You Keep Baby Ducks in the House? Can Baby Ducks and Baby Chicks be Raised Together? 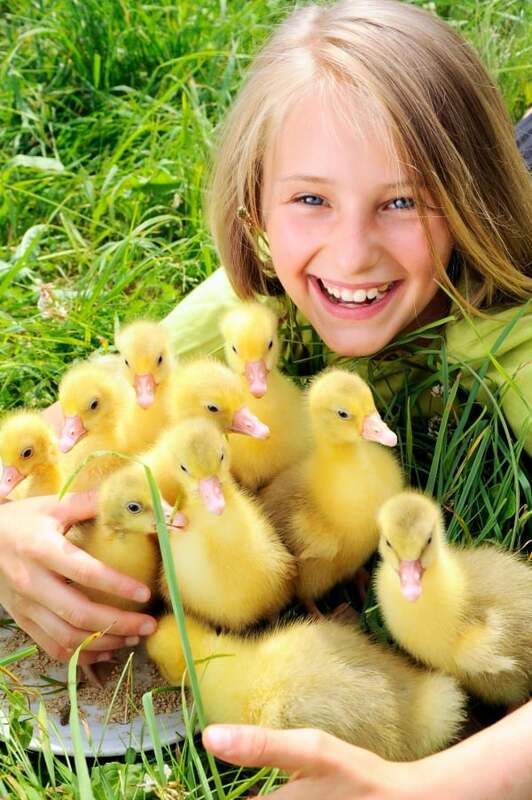 Keeping ducks as pets is an activity your entire family will enjoy. When our family moved to the country five years ago, one of the first things we did is buy some baby chicks and baby ducks. Caring for baby ducks isn’t all that hard, but I will share with you some of the things we have learned from keeping ducks as pets for the past five years. Ducks aren’t naturally the friendliest animals in the world, but they are for the most part very gentle (except for the occasional male duck). They are also very amusing to watch. We have raised both Indian Runner ducks and Rouen ducks, and they both have similar temperaments. Do a little research before you purchase ducks. Ducks come in all different sorts of shapes, sizes, and colors. You may recall that baby ducks imprint on the first animal or human that they come into contact with after they hatch out of their eggs. We have purchased baby ducks from the local feed store, let our own ducks hatch eggs, and we have also incubated duck eggs in an incubator and hatched duck eggs ourselves. Baby ducks that are purchased from the store and baby ducks that are hatched and raised by their mother have about the same temperament. They are not super friendly and you will probably have a hard time getting them to let you hold them and pet them. If you purchase them from the feed store, however, and handle them a lot when they are young, they will be friendlier than if you don’t handle them or their mother raises them. The most fun we have had raising ducks is hatching the eggs in an incubator. When the baby duck first hatches out the egg and sees you, they do bond with you. The ducks we have raised from eggs have most definitely been our friendliest ducks. They are much more approachable and don’t run away as fast after they grow up. You might be able to find fertile duck eggs locally. If not you can actually order white layer duck eggs to hatch directly from Amazon. 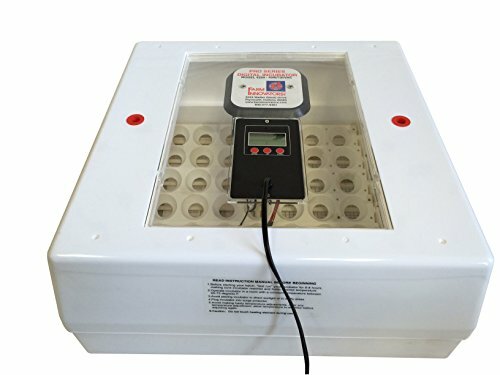 If you want to hatch a different variety of duck, just do a quick Google search for fertile duck eggs to hatch and you will find many farms from which you can directly order fertile duck eggs. 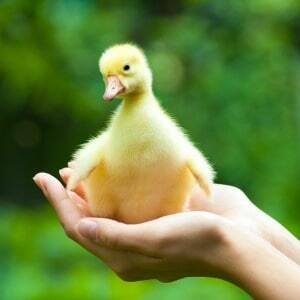 Keep in mind that if you do decide to incubate and hatch your own duck eggs, the eggs will take 28 days to hatch. Baby ducks are really fun to raise. I have written another article about everything you need to know to care for baby ducks, including what you need to buy to feed your baby ducks and how to keep them comfortable until they are ready to live outside. It’s best to keep your baby ducks in the house for a couple of weeks to keep them warm under a heat lamp, then you can move them outside. We keep ours in an extra large Rubbermaid container. Baby ducks are ready to swim within a week or two of hatching. It’s fun to let them swim in the bathtub. Here’s a video of our baby ducks swimming in the bathtub just a few days ago. If you are wondering what you are going to do with your baby ducks after they grow up, ducks make great outside pets. You definitely want to have a fenced in area where the ducks can at least sleep at night to keep them safe from predators, and some sort of shelter from wind and rain. They also need a constant supply of water, because ducks love to play in the water! We have a small children’s wading pool in our duck enclosure. Ducks are also great egg layers. Our ducks only lay eggs from spring to fall. They take a break from laying eggs in the winter time, but different breeds of ducks lay varying amounts of eggs throughout the year. You can eat duck eggs just like you eat chicken eggs. They are a little larger, and the yolks are quite yellow. Many people view ducks eggs as a delicacy, they really are quite delicious, and great for baking or making omelets. If you have several ducks, you only want to have one male duck per 3-4 female ducks. Male ducks can be quite territorial. We have had one or two that got quite mean when they had to compete with other male ducks. You don’t need to have male duck, however. Females will do fine on their own and still lay eggs without a male around. We love keeping ducks as pets, and I’m sure we will continue to raise them in the years to come. If you have a big enough yard to have a few chickens, try raising a couple of ducks right along with them. Baby ducks and baby chicks can be raised together and get along well.